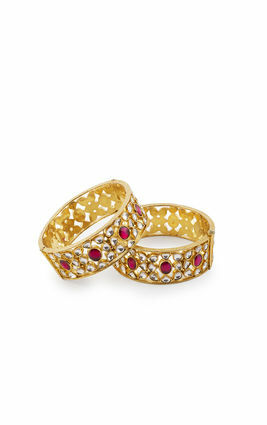 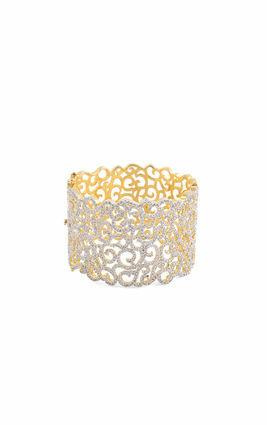 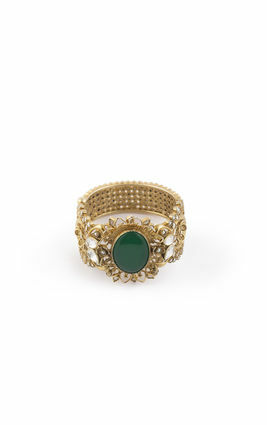 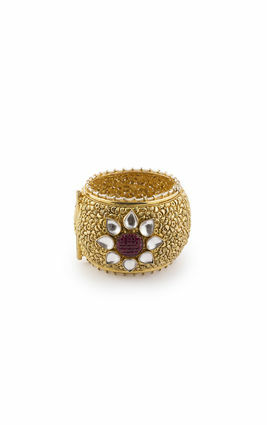 A broad wrist cuff polished in dull gold, bejewelled with uncut zirconia flowers in intricate jaali formations. 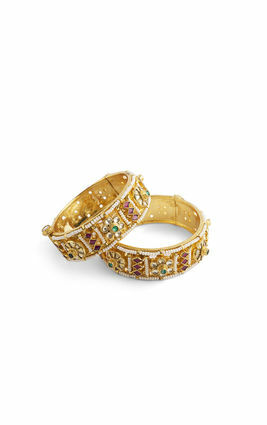 Mughal design meets ancient Indian craftsmanship. 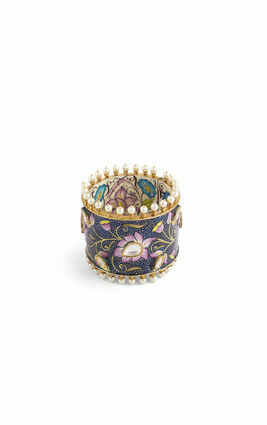 This is truly the best of both worlds. 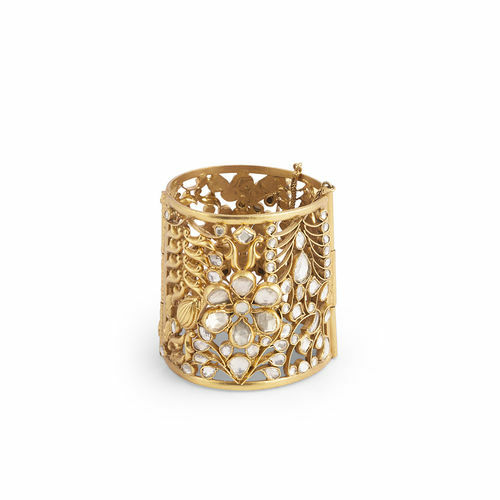 A broad wrist cuff polished in dull gold, bejewelled with uncut zirconia flowers in intricate jaali formations. 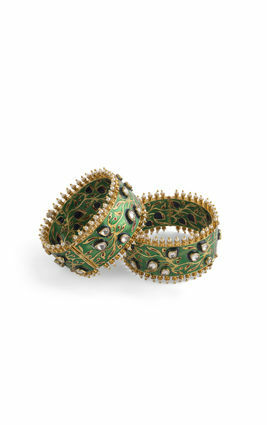 Mughal design meets ancient Indian craftsmanship. 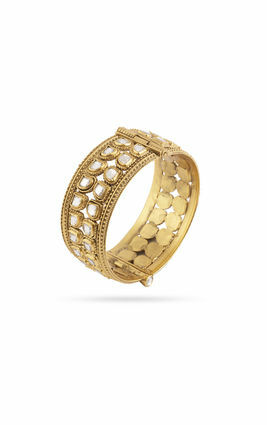 This is truly the best of both worlds.